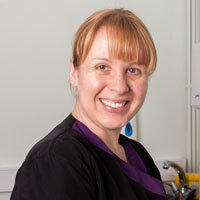 Gemma has worked with us since September 2008. She has over 10 years of experience in dog grooming and enjoys all aspects of the job. In her spare time Gemma enjoys keeping fit by swimming and attending Zumba classes.